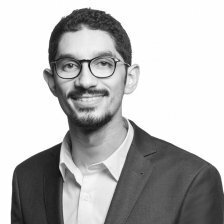 Ayoub FAKIR is a Senior Data Engineer with a large experience working for large companies building Big Data pipelines and infrastructures working with huge amounts of Data. He is a Blockchain researcher seeking new ways of working with Data and Blockchain to unlocking the next generation of Decentralized Applications. He also works as an advisor for Blockchain startups and as a technology evangelist.